Award-winning essayist Patrick Madden will give Whitworth's Endowed English Reading on Friday, Nov. 18, at 7 p.m. The reading will take place in Room 102 of the Lied Center for the Visual Arts on Whitworth's campus. Admission is free. For more information, please call (509) 777-3253. Madden is perhaps best known for Quotidiana (University of Nebraska Press, 2010), a collection of personal essays. Quotidiana won Book of the Year awards from Independent Publisher and ForeWord Reviews and was a finalist for the PEN Center USA Literary Award in Creative Nonfiction. Madden's essays have been published in Fourth Genre, The Iowa Review, Portland Magazine, Quarterly West, and other journals, and have been republished in the Best American Spiritual Writing and Best Creative Nonfiction anthologies. 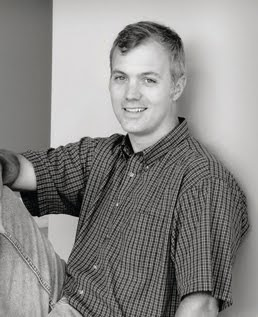 Madden currently teaches in the MFA programs at Brigham Young University and Vermont College, and he curates an online anthology of classical essays at http://www.quotidiana.org/. "At every level there's something to enjoy in Patrick Madden's work, from his memorable images and lively sentences, to his daring associative leaps and illuminating connections," says Nicole Sheets, an assistant professor of English at Whitworth. "I think the audience will be energized by his excitement about the form of the essay." Following the reading, Madden will sign copies of his books, which will be available for purchase. Refreshments also will be available.